Venezuela’s opposition coalition has refused to recognize the results of gubernatorial elections where the ruling socialists won a surprise majority. The Democratic Unity’s election campaign chief, Gerardo Blyde, demanded a complete audit of the 23 governor races and called on its candidates to lead “street activities” in protest over the results. “We have serious suspicions and doubts,” Blyde told reporters. Electoral board president Tibisay Lucena said the ruling Socialist Party took 17 governorships, versus five for the opposition Democratic Unity coalition, with results irreversible in all but one of the OPEC member’s 23 states. The ruling Socialist Party previously controlled 20 of the 23 state governorships. But opinion polls had shown the opposition set to upend that, given voter anger at hunger and shortages stemming from an economic meltdown. 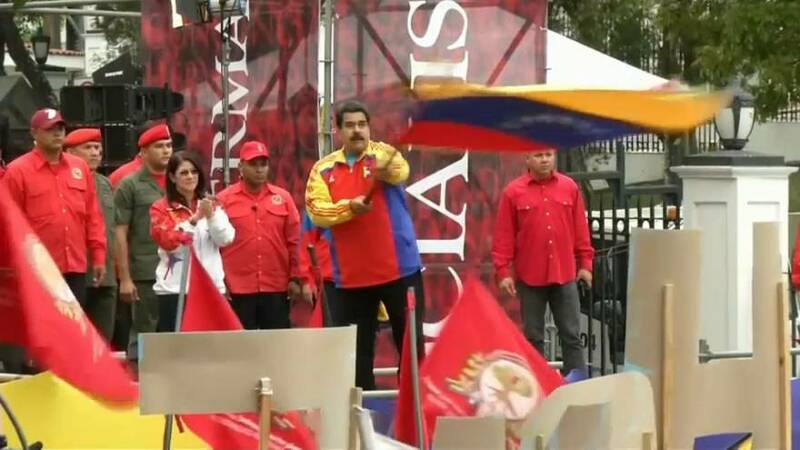 “‘Chavismo’ is alive, in the street, and triumphant,” said a beaming Nicolás Maduro, 54, in a speech to the nation, referring to the ruling movement’s name for former president Hugo Chavez. Though opposition leaders drew short of presenting detailed accusations or evidence of fraud, rank-and-file supporters expressed disgust and disillusionment at what they said was obvious vote tampering. One survey prior to the vote had given the opposition 44.7 percent of voter intentions versus 21.1 percent for the government – close to Maduro’s own approval rating of 23 percent. The surprise results raises the prospect of more unrest in Venezuela, where four months of opposition-led protests earlier this year led to 125 deaths, thousands of arrests and injuries, and widespread destruction of property.